The Regina Pats (11-0-3-0) look to win their eight consecutive game, on Friday night, against the Saskatoon Blades (7-8-1-0). Puck drop is at 7 p.m. at the Brandt Centre. The Pats are coming off a 10-2 win, Wednesday, over the Kootenay ICE. The Blades were last in action on Tuesday and lost to the Seattle Thunderbirds 4-3. Tonight, is the first of six meetings on the season between the Pats and Blades. Tonight’s game can be heard on 620 CKRM with Bennett Dunlop Ford Pats Hockey beginning with the pre-game show at 6:35 p.m.. The game is also being broadcast live on Access 7. 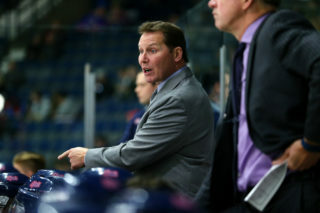 The Regina Pats dominated their way to a seventh straight win on Wednesday night, at the Brandt Centre, 10-2 over the Kootenay ICE. Seven different Pats had multi point games, six of them with three points or more. Connor Hobbs led the way with a goal and three assists, and the Pats outshot the ICE 62-32 in the contest. Jordan Hollett stopped 30 shots for his fifth win in six starts. With the victory the Pats improve to 11-0-3-0 on the season. For just the third time since 2001/02, the Pats have won seven consecutive games. The team did it in 2015-16 and in 2007-08. Fourteen years ago was the last time the organization had a winning streak longer than seven. In 01/02 the Pats won nine in row from November 17 to December 5. The current run has the Pats through 14 games without a regulation loss, second most in franchise history. The 64/65 Pats went 18 games to start the season without a loss in regulation with a 14-0-4 record. 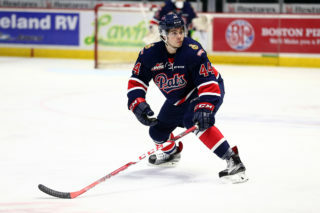 The Western Hockey League announced Tuesday that Regina Pats forward Sam Steel has been named the WHL Player of the Month for September and October 2016. 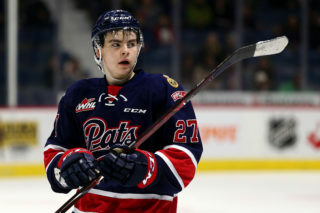 Steel, an 18-year-old product of Sherwood Park, AB, registered 22 points (10G, 12A) in 11 games to help the Regina Pats go 10-0-3-0, and take the early lead in the WHL’s East Division. 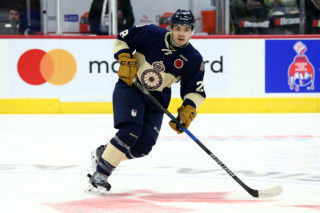 Since being returned from the NHL’s Anaheim Ducks, Steel has managed eight multipoint performances, including a season-high five points (2G, 3A) on October 2 in a 7-2 win over the Red Deer Rebels. Steel enters tonight, second in WHL scoring with 25 points and is tied for first with 12 goals. 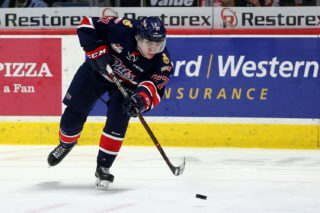 The Pats lead the Western Hockey League in goals scored with 78 through the first 14 games of the season. That’s an average of 5.57 goals per game. The club is second in the WHL with 608 shots on goal and have scored on 12.1 per cent of them. Sam Steel leads the team with 12 goals, Filip Ahl is next with nine, Jake Leschyshyn has eight and Nick Henry and Austin Wagner have seven. Four other Pats have at least five goals on the season. Ottawa Senators prospect forward Filip Ahl is off to a great start to his WHL career. The 19-year-old is third in rookie scoring with 17 points and leads all rookies with nine goals. Ahl is also tied for the WHL lead with four game winners and has six goals and 10 points in his last six games.